This is a story which fascinated me some years ago and one which many of you already know about. However, I thought it worth reviving for those who missed this incredible piece of history. In 1921, Swedish geologist John Gunner Anderson was visiting Zhoukoudian, 55km south-west of Beijing. 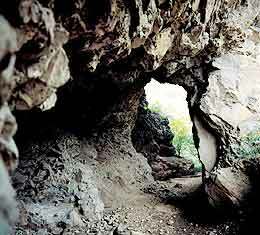 He was taken by a local resident to see a cave full of ‘dragon bones’. Anderson recognized them as fossils. From then until the outbreak of the Second World War in the East which began with a Japanese attack on China in 1937, extensive excavations were undertaken at the site by an international team. First ancient teeth were discovered; then, fragments of skull. They were found 20m down, associated with stone tools ,in layers of rock debris from the collapsed roof of the limestone cave. 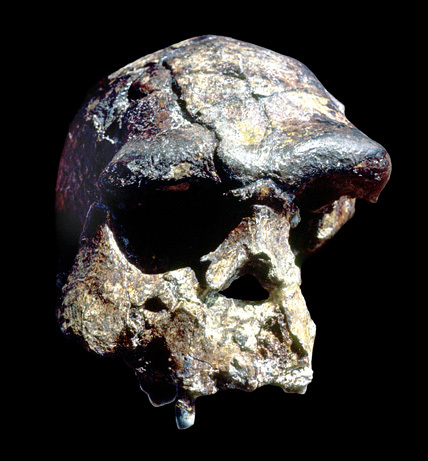 The remains represented an early form of human. Other fossils were later found elsewhere on ‘ Dragon Bone Hill ‘. By the time excavations ended, at least 12 individuals were represented in the assemblage. They were estimated to be about a million years old. 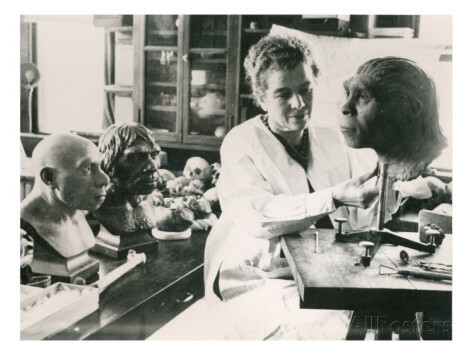 Lucile Swan recreating a model of Peking Man. 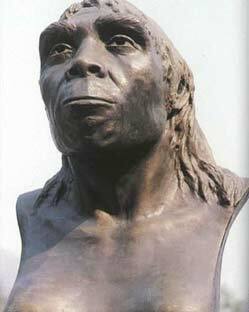 The remains were classified as a new genus and species of human – Sinanthropus pekinensis or “Chinaman from Peking”. The caves had been occupied for long periods, fires had been lit, stone tools had been crafted, and deer had been consumed in abundance. What was most significant, however, was the apparent antiquity of the fossils, pushing hominid activity in north-east Asia back hundreds of thousands of years earlier than previously assumed. Peking man was claimed as the direct ancestor of the modern Chinese, allowing patriotic Chinese archaeologist Lin Yan to claim that the Chinese were ‘ the Earth’s most ancient original inhabitants’, This was a serious error, though an understandable one at a time when the science of human origins was less advanced. That sections of the Chinese state establishment still maintain today-in the face of new and compelling counter-evidence-is another matter. During DNA research, samples were taken from l2,000 living Chinese and compared with samples from Peking Man fossils. Most of the original fossils had been lost mysteriously during the Second World War (only casts had survived) but further examples have since been excavated. The genetic evidence proved that Peking Man has no living descendants among modern Chinese. All modern Chinese are direct descendants of a new species of modern humans that formed in Africa around 200,000 years ago. We now know that Peking Man represents the spread of a new species of hominid, Homo erectus, in an earlier ‘Out of Africa’ migration beginning about a million years ago. The Chinese fossils probably date to between 800,000 and 400,000 years ago, but examples of essentially the same species have been found in many other places and of many different dates. What is clear, however, is that all evolutionary branches from the species eventually died out: the last, the European Neanderthals, perhaps as recently as 35,000 years ago, Africa continued to be an evolutionary crucible in which new species were periodically created, until it finally produced a super-intelligent species capable of the cultural adaption necessary to colonise and dominate the whole of the planet: Homo sapiens, modern humans. Visiting the Zhoukoudian Museum site of Peking Man where inside there are displays of bones and other traces of Peking Man and the mammals that lived contemporaneously. 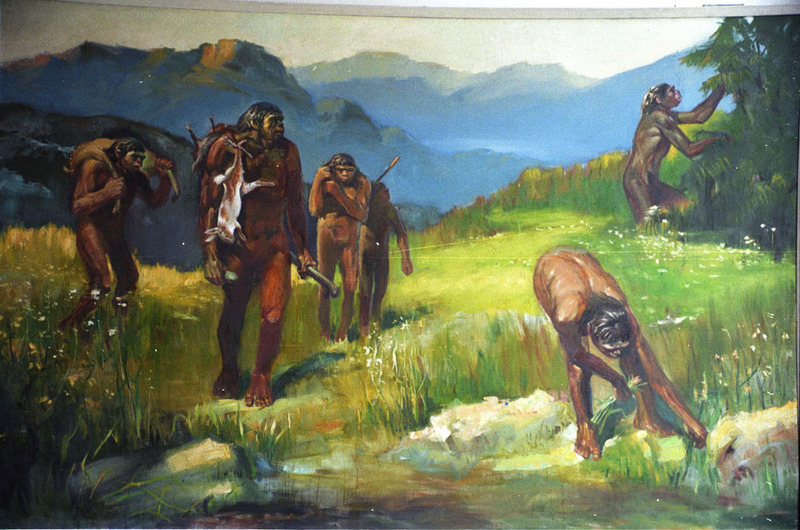 This picture depicts Peking Man hunting and gathering. Today, only few poems by ancient Greek poetess Sappho survive, but thanks to new findings, two new works have been recovered, giving experts hope to find more. This post is to thank all my fellow bloggers who have supported me throughout the year 20l3 and previous years of course. Also for all your lovely comments. May you all have a Happy Healthy and Prosperous New Year 2014 . Enjoy the following New Year Celebration Images. Men dressed as Vikings for Hogmanay Celebrations.